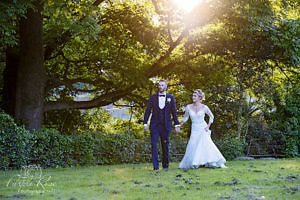 Why use a professional wedding photographer? As a wedding photographer based in Milton Keynes, I often hear this debate. Why pay someone to take wedding photos when we know (Insert name) who has a camera. This is a fair question. What exactly is the benefit? I sadly often see the other end of this debate. After the wedding when the couple are disappointed with their photos which a friend took and approach me to ask if I can fix them. Often the answer is sadly no. They are just beyond any editing. The only available option then is to offer a mini wedding shoot, where they get dressed up again and perhaps return to their venue to get some couple photos for them. It’s just not the same as having those photos of the real day, with all the emotions involved. 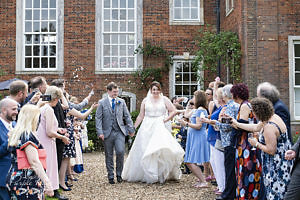 When planning your wedding its likely that you will spend some time deciding which parts of your day you wish to DIY and which parts you need to hire a professional for. There are advantages and disadvantages to each, so it is an important aspect to think about. One such DIY question is do you hire a professional wedding photographer or have a friend or relative do it for you? I’ll be honest straight away, I hired a professional for my wedding. I did not want to take any risks when it came to recording memories of my day. We’ll start by looking at the DIY option of asking a friend or relative to photograph your wedding. Usually, they are someone in your social group who is keen on photography. Sometimes using their phone or hopefully a DSLR camera. The obvious advantage is they are free. Just include them as a guest and they’ll hopefully have fun taking photos and remember to catch those key moments. Weddings are long days, often with 12hrs or more of photography, are they happy to work for that long? Do they know how to work in tricky light situations? For example, a dark church where no flash is allowed? Or worse a backlit ceremony causing the couple to be really underexposed? These are common situations at a wedding. Will they be laughing at funny moments instead of photographing them? Are you comfortable with them not enjoying the day as a true guest? They’ll be working after all. Are they happy not to indulge in alcohol, after all, no one wants to increase the chance of wonky or out of focus photos. What happens if their camera breaks? Is that the end to the photos for the day? What happens if the photos are not what you expected? Will you being disappointed with your photos affect your friendship? Is it worth risking your friendship if you think it might? These are all important questions to consider. The other option is to hire a professional wedding photographer. There are many options when selecting a photographer. Do your research, in general, you will notice a clear difference in photography quality at different budgets so this is an important consideration. A professional wedding photographer will have a plan. They’ll want to know the photos you want and will have their own shot list as well. They’ll know how to work in tricky situations. Come rain or shine they won’t be phased. A professional photographer will have back up equipment in case of any problems. They will capture the obvious safe photos then look for more creative angles. They’ll have insurance to cover any accidents and be experienced enough to avoid unsafe situations. They’ll know how to work quickly and effectively, causing minimum delay to your day. A professional photographer has the experience to draw upon. They’ll hear the jokes and see the emotion but still be taking the photo. They know how to put you at ease and capture photo’s you will treasure. They are a storyteller and will have this in mind throughout your day. Experience helps them anticipate the moment and know the angle to capture it without getting in the way. When the wedding is over they know how to safely store and backup your images. Then spend time editing your images before presenting them to you. A professional wedding photographer will calmly guide you through your wedding day. Helping you where they can, keeping you to your schedule, whilst recording your wedding day for you. They will make it look easy on the day, working calmly to capture those precious memories for you. If you have enjoyed this you may find the following posts useful. If you are in the early stages of planning your wedding my wedding planning blog could be a handy ready click here to see this. 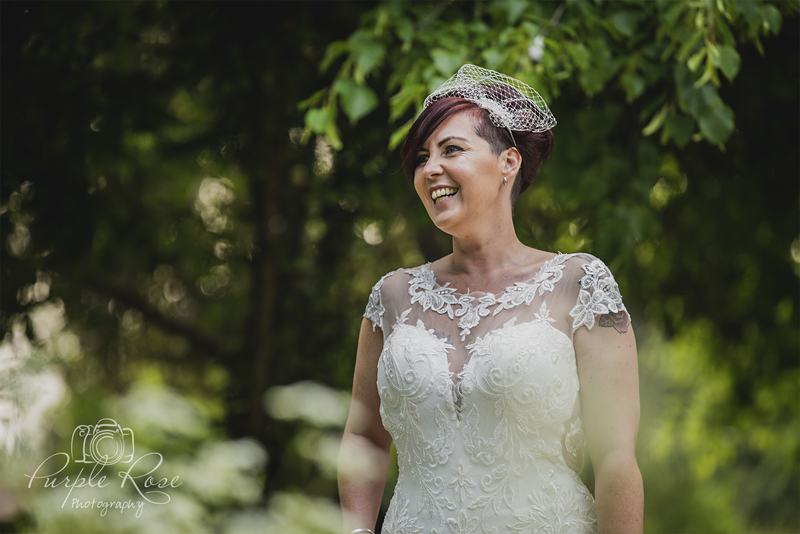 If you’d like to more about my wedding photography packages please click here to learn more.